LifeGroups are simply environments that are created where authentic Community can take place. In LifeGroups, people can further study God's Word and discuss the issues and challenges of life. It's also where people can pray together, care for one another and will be missed if they are not there. We all have been designed by God with a need for Community, and at Resurrection Life we believe that although the NEED for Community is universal, there is a difference between what every person needs and what every LifeGroup will provide. Therefore, we will offer a variety of LifeGroupsthat range from very large group one-time events to short-term smaller group experiences. Everything has a Starting Point...your life, your relationships, your education, your career. Sometimes we forget that faith has a starting point as well. 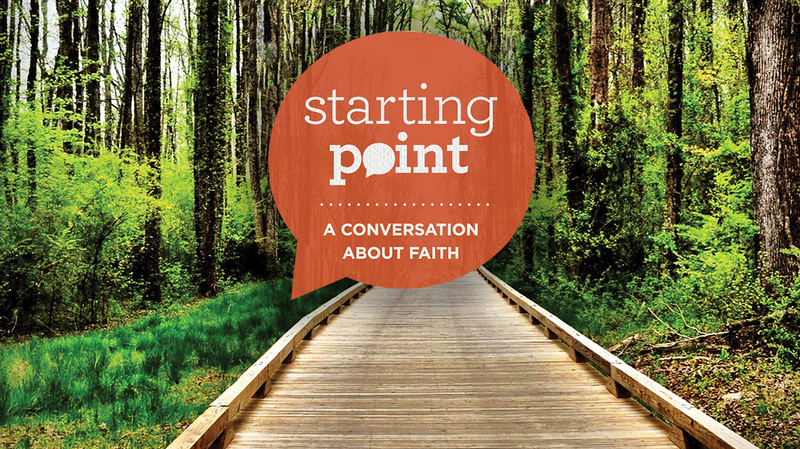 Welcome to Starting Point-- a group conversation about faith. Whether you're new to faith, want to know more about God, or coming back to church after some time away, we invite you to join us at a place where no question is off limits and your opinions are valued.